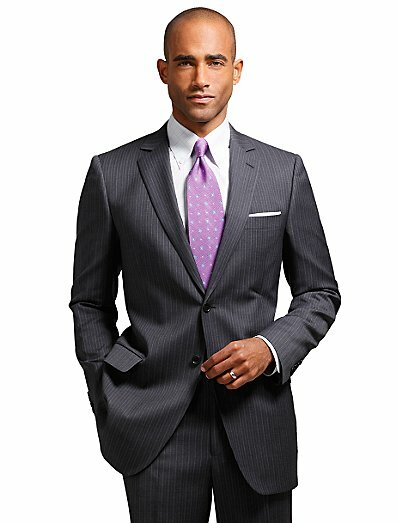 Plush Styles: What Is the Best Appearance For A Job Interview? How to Dress..
What Is the Best Appearance For A Job Interview? How to Dress..
Today am inspired to talk about how to look when going for a job interview. When you are dressing for a job interview, image really is everything (or most of it). The image you present to a potential employer is the first thing they are going to notice about you before you even have a chance to say a word or shake a hand. Knowing what to wear on a job interview is half the battle of the interview itself. There's an old adage that says, “You never get a second chance to make a first impression.” A lot of people have the slightest idea of how to represent themselves at a job interview. Your appearance plays a huge role on wether you get hired or not. Here's a few tips. 1. It's important to check out the culture of the company you are interviewing with and dress accordingly. There are some companies where the employees wear suits everyday and others where it's ok to wear T Shirts and jeans.. You probably don’t need to wear a suit and tie to a job interview at a laid back company, but that doesn’t mean you should dress too casually, either. So do a quick research. 2. Stay clear of the Flip-flops or sneakers, Underwear (bras, bra straps, boxers, etc.) that are visible. Don't wear any underwear that shows even if your bra straps match your top. Don't wear Skirts that are too short. or Pants that are too low rise or too tight. Avoid blouses that are too low cut or too short don't show your cleavage or your belly and make sure the top of your thong, if you wear one, doesn't show above your pants. 3. Make sure your clothes that are neatly ironed and pressed. Nothing gives away the lack of attention to detail than a wrinkled clothing. 4. Make sure your clothing fits properly. Fitted is good, snug is dicey and tight is just wrong. 5. Don’t wear too much perfume, With any type of scent, less, or none, is better. 6. Don’t wear flashy or too much jewelry. This sometimes sends the wrong signals. 7. Wearing socks or hosiery is non-negotiable. Naked feet or bare legs do not command respect in a business environment. Save that look for your social time. 8. Shoes tell your inner secrets they are the strongest indicators of your social status. For business wear, shoe styles must be a closed toe and closed-heel and they must be in clean condition. Rough heels, scruffy toes, or unpolished footwear scream failure. By the way the heels should not be too high. Classic heels and not trendy heels are your best bet in this situation. 9. In a previous topic on my blog, i emphasised on importance of posture, body language and how you carry yourself. A Good posture and a solid handshake is important. Your body language is part of your overall appearance, so it’s important that you pay close attention to it. The most important thing you bring to any interview is confidence. What you wear and how you wear it helps emphasis that. If you aren’t comfortable in your outfit that will come across in your interview. It would be a shame if you were the most qualified candidate for the position but you didn’t even get a second interview because of the way you look. The interviewer has made an initial impression of you in the first few seconds they see you based on how you look. That may not be fair but it is reality in most cases. So always come correct! !